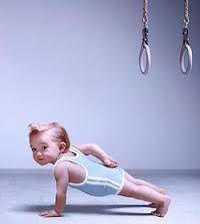 Get a great workout in while enjoying peace of mind that your kids are safe….and having fun themselves! At Fortitude, our caregivers are nurturing, our environment clean and inviting. AND, our Childcare service is offered to you FREE! Currently offered daily 8:45-10:00 am, and on Mondays and Thursdays from 4:15-6:30, sign up is easy. It takes just a moment to create a profile for your child and enroll him or her into the childcare slot of your choice! Please note that as a courtesy to others, children displaying any sort of illness and/or fever will not be allowed. Please bring them only when they are 100% healthy! Food is not allowed in childcare. Parents must be on premises at all times and check each child in with the childcare provider upon arrival. Click below to sign up for our FREE childcare service.